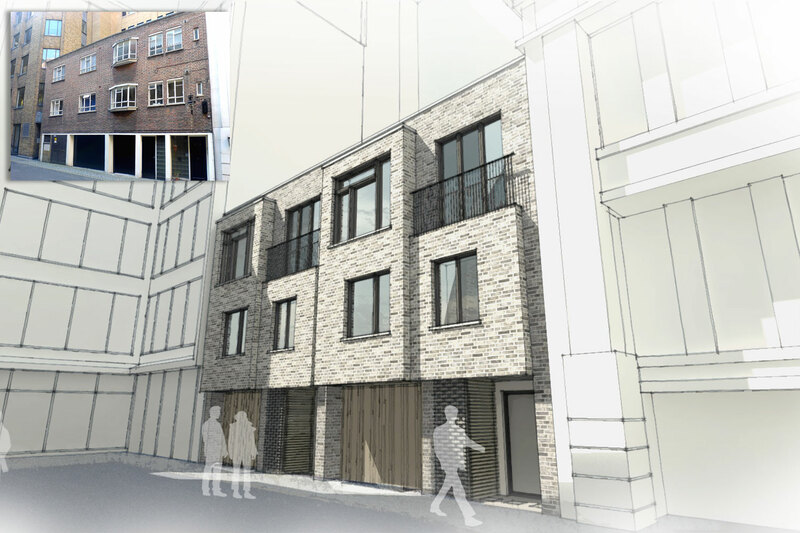 The brief in Rose & Crown Yard is to replace two poorly set out flats arranged over garages and a redundant electricity sub-station. 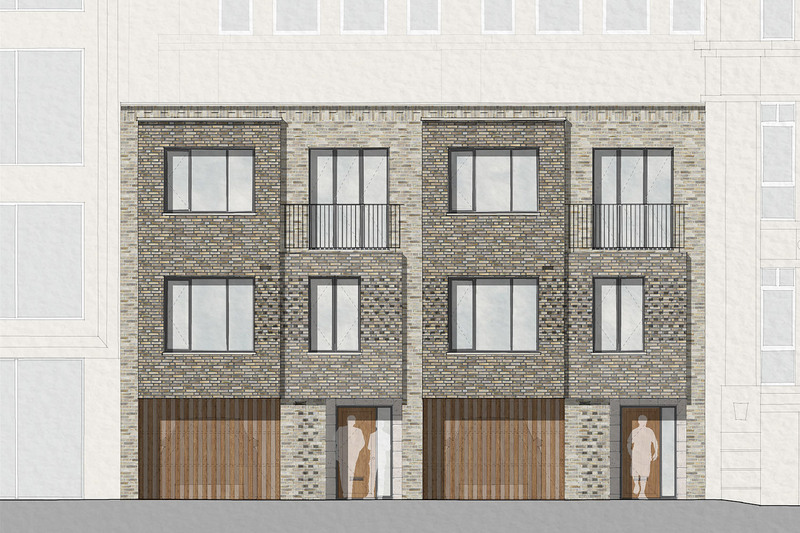 The proposed new development is for two terrace houses arranged over basement, ground and two upper floors. Each is complete with a secure garage space. The scheme, set in the context of the mixed-use commercial and domestic London mews, adopts a simple brick form with carefully proportioned windows and façade. Natural light is a premium in this location, thus great care has been given to roof lights as well as boosting the outline of façade windows.